At Sisac Storage in Silverdale, you'll enjoy some of the best self-storage prices north of the Auckland Harbour bridge. With a huge range of storage units that are all clean, dry and secure, you can rest assured your personal or business possessions are safe and well protected. Our easy-to-find storage facility is located just off the Hibiscus Coast Highway, a couple of minutes drive from State Highway 1. This makes it ideal for storing goods to which you'd still like easy access. Access to the Sisac Storage facility is by secure personal PIN code from 7am 'til 7pm every day, and after hours by appointment. Only you have access to your storage unit. 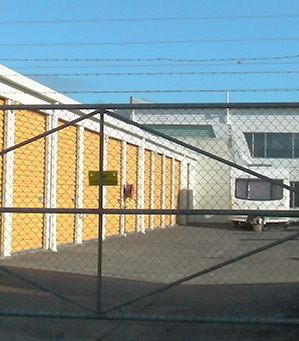 Our storage units are protected a security gate with electrified security fences, security lighting and cameras. Our purpose-built storage facility was constructed in 1991, and we've been delighting customers ever since. You'll enjoy reliable, friendly service from the locally-based owner/operators – Colin and Matt. You're welcome to come in and see us if you have any questions. You'll find someone in the office on Friday or Saturday mornings, and at other times by arrangement. Or you can call us now on 09 427 8332 – we're always happy to help. © Sisac Storage Silverdale 2015, all rights reserved | Ph. 09 427 8332 | Email. 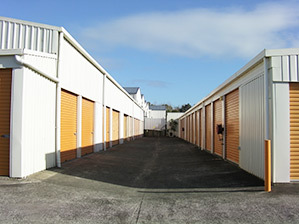 Affordable storage units in SIlverdale, North Auckland.